AUDA/NEPAD Essay Contest: AUDA/NEPAD recognises African youth as important stakeholders in achieving the Agenda 2063 goals and aspirations. In this regard, deliberate efforts are being made to harness the intellectual insights and energies of the youth in shaping the pathways and participating in the implementation of Agenda 2063. 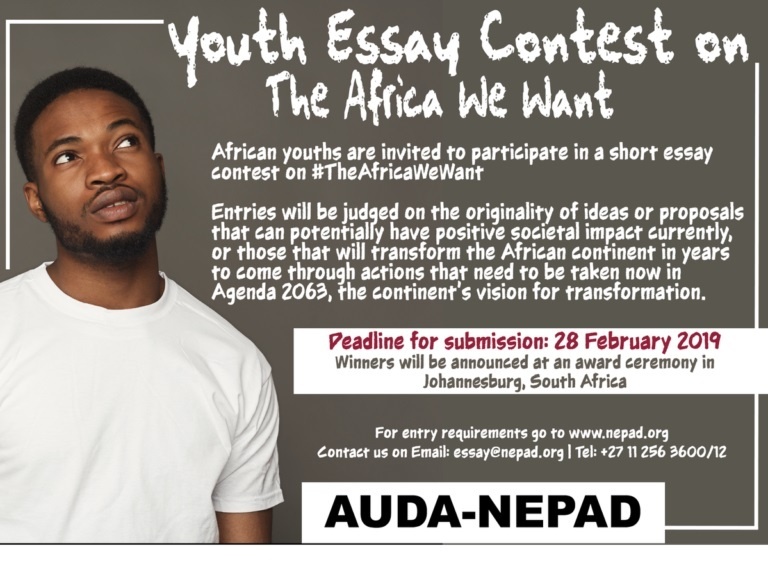 Accordingly, AUDA/NEPAD is organising a short essay contest that will serve to solicit novel ideas from Africa’s youth.